Ideas. Development. Production. 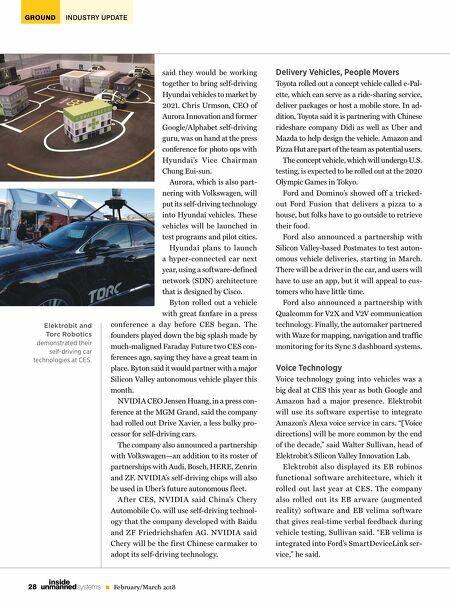 Applanix T +1-289-695-6000 www.applanix.com/autonomy Applanix Autonomy Development Platform Advancing Driverless Vehicle Development Projects at Every Stage. Customized support for your technology and systems. 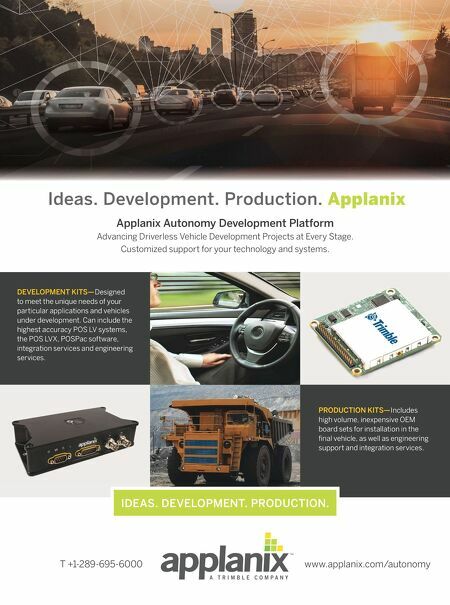 DEVELOPMENT KITS— Designed to meet the unique needs of your particular applications and vehicles under development. Can include the highest accuracy POS LV systems, the POS LVX, POSPac software, integration services and engineering services. PRODUCTION KITS— Includes high volume, inexpensive OEM board sets for installation in the fi nal vehicle, as well as engineering support and integration services. IDEAS. DEVELOPMENT. PRODUCTION.